Happy Tuesday and welcome to a brand new day with #ThatBusinessShow! Starting your day off on a positive note, bringing on the best of the best in Tampa Bay to share their business, stories, and talents with the listeners on the #MorningAir, #ThatBusinessShow can help you spread your word! If you want to join our Host Jamie on the air, then head to http://www.tampabayradio.com to fill out a contact form and let us know what it is you do, or email christian@tampabayradio.com! Coming on the #MorningAir today bright and early on #1250WHNZ at 8am, Jamie Meloni was joined by Mark Marder and Robin Warren from Project Prosper! Mark Marder is a trustee with Project Prosper, and Robin Warren is the secretary and Co Founder of the company, #HelpingOurCity! 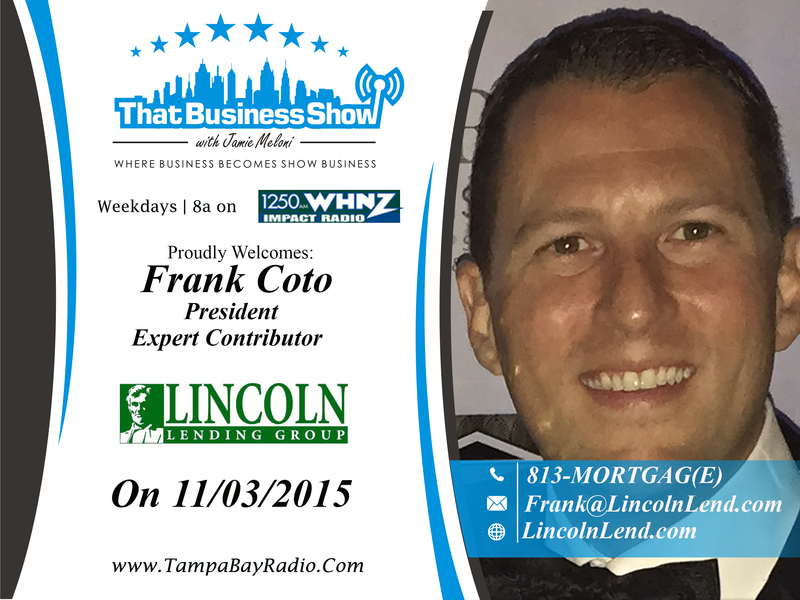 Jamie was also joined with Frank Coto from Lincoln Lending, and you may recognize him from our Sunday show, the That Business Show Real Estate Edition as our regular Co Host! If you missed the show, make sure to head to http://www.tampabayradio.com to listen to any show on demand, or catch the show at Jamie’s YouTube Channel at http://www.youtube.com/jamiemeloni! After moving to the Tampa Bay area in 2005, Robin Warren became actively involved in the community, serving as a docent at the Florida Holocaust Museum and a volunteer at Florida Craftsmen. In 2007, she co-founded Project Prosper, an asset-building program that enables working legal immigrants residing in Pinellas County to integrate socially and economically into the community. Project Prosper provides financial education classes for immigrants as well as small loans with a matched savings plan and mentoring for recent immigrants. She served as Project Prosper’s first President and currently serves as the nonprofit’s Secretary. 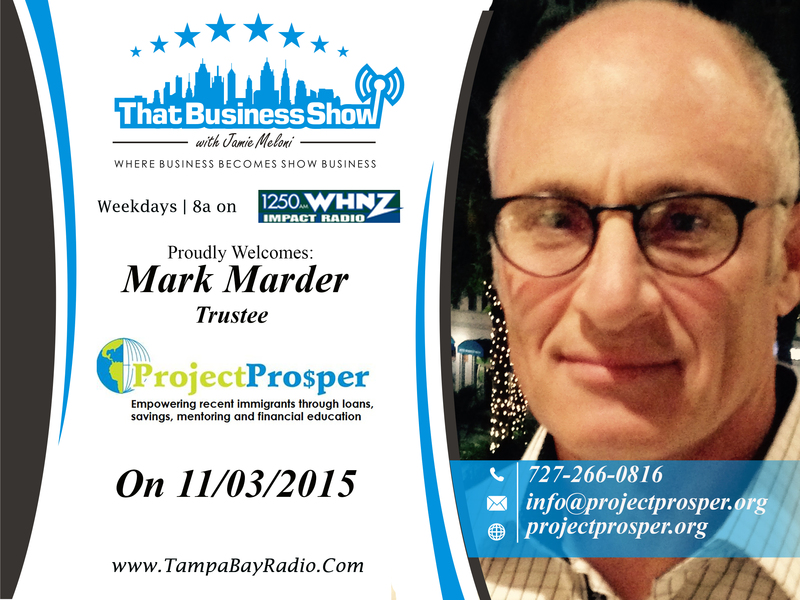 Besides his board affiliation, Mark Marder is a member of Project Prosper’s, Loan Committee, PR Committee and Development Committee. He joined Project Prosper because of his gratefulness to his immigrant Grandparents, whom through their life experiences taught him so many valuable life lessons. #HelpingOurCity, Project Prosper helps many immigrants in our community make a life in our great country, spreading the American Dream! Visit them at http://www.projectprosper.org! 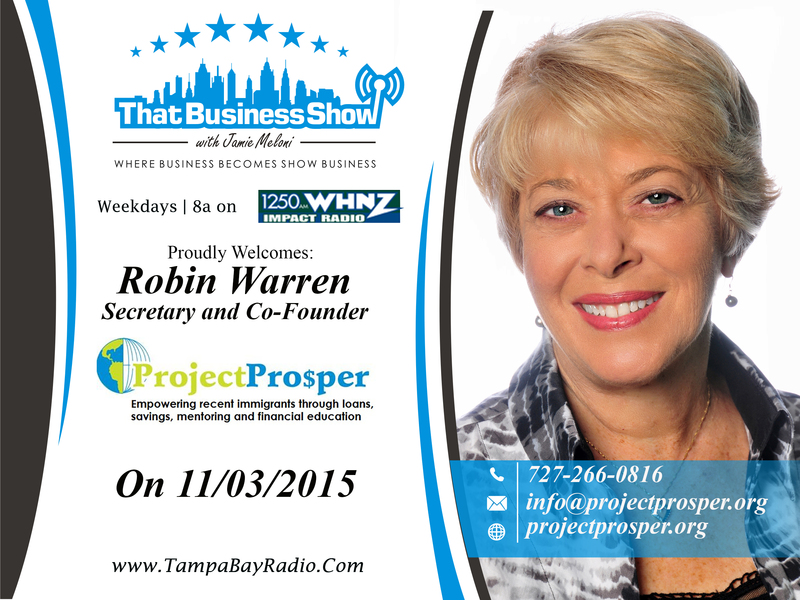 Coming on the show on the second half was Expert Contributor and Co Host of That Business Show Real Estate Edition! Speaking to our listeners about the many different lending offers that The Lincoln Lending Group offers, if you missed out on the vital information on finances and loans, head to http://www.tampabayradio.com to catch Frank’s Segment, and please consider The Lincoln Lending Group for you monetary needs! You can contact Frank Coto and The Lincoln Lending Group at 813-MORTGAG(E), or email him at frank@lincolnlend.com!